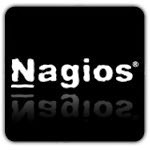 "Error: Could not read host and service status information" in Nagios ~ Your Own Linux..! Now, try clicking on "Hosts" or "Services" link. Error should have been eliminated, at least until the next reboot. Hi I followed the steps above and it still didnt work for me. Any idea why this could be happening? May 30 16:12:30 centos7 systemd: nagios.service failed. show error can't start nagios.